March 4th, 2011 By: GGT Category: 2011/04 release, 2011/05 release, Figure News. 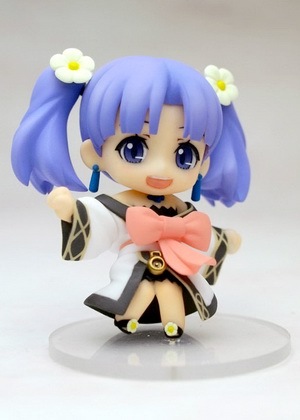 ASMIC/Fuji TV (manufactured by GSC) is going to release the Nendoroid Petit Nessa ( ネッサ ) and Phryne (フリュネ) trading figure form the light novel/manga/anime “Fractale” ( フラクタル ). Nendoroid Petit Nessa will be bundled with the Fractale anime Blu-ray Vol. 1 limited edition, will be released on April 2011, 5,800 yen. 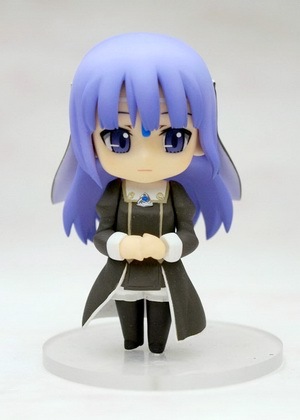 Nendoroid Petit Phryne will be bundled with the Fractale anime Blu-ray Vol. 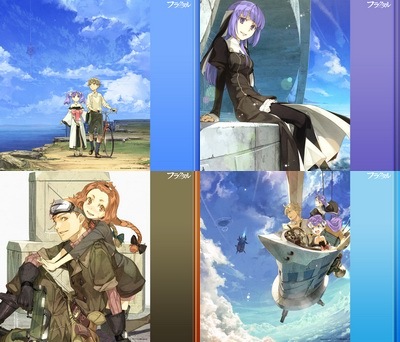 2 limited edition, will be released on May 27, 2011, 7,700 yen. I like Fractale a lot. The story is good and Nessa is really cute! It sux that the anime changed the color schemes and the character design. It makes a lot of people think that it is a Studio Ghibli product wannabe. Nevertheless, the story is good and I still enjoy it. Adventure fantasy taking place in decadence future of boys and girls who decides to fight back the “never ending world”. “Fractale System”, controlling the world, has been established and all human beings are placed in a paradise, which they can now live without working. System still worked but nobody could analysis the mechanism of it. Many people thought that maintaining the system itself is the condition to happiness and never doubted. The story takes place when that “FRACTALE” starts to collapse in a island at the edge of a continent. A boy named Clain saves a girl, Phryne, who was attacked by someone unknown and fell down from the cliff. Clain’s heart dances with excitement meeting this girl. But Phryne dissapears leaving him a broach. The data left in her broach had an avator with Phyrne’s appearance, Nessa, lock up inside. -Originally drawn BOX by illustrator Hidari.